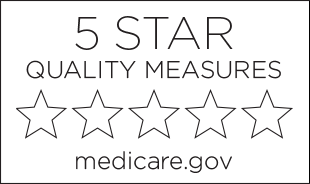 Centers for Medicare and Medicaid Services ranking system. Terrace Oaks Care and Rehabilitation Center is a unique skilled nursing and rehabilitation home offering quality healthcare services to residents throughout the beautiful community of Bessemer, Alabama. With all the luxuries of home, your loved one will enjoy great comfort and care. Here at Terrace Oaks, we are devoted to providing a customized program of care for each of our residents. “Our family caring for your family” is our purpose and pledge. We are committed to providing you with peace of mind through responsive, courteous and gentle care. At Terrace Oaks, those who serve our residents in skilled nursing and rehabilitation environments do so because it is their calling to serve others with passion, courage and a true sense of partnership. We provide a wide range of services including skilled nursing, therapy for all ages including outpatient therapy, long and short-term care, and hospice care in a friendly and compassionate environment. Whether your stay is a short-term rehabilitation stay or long-term care, our goal is to enhance your health and improve your overall quality of life. Our licensed professionals are available to answer questions and address any concerns you and your family may have. 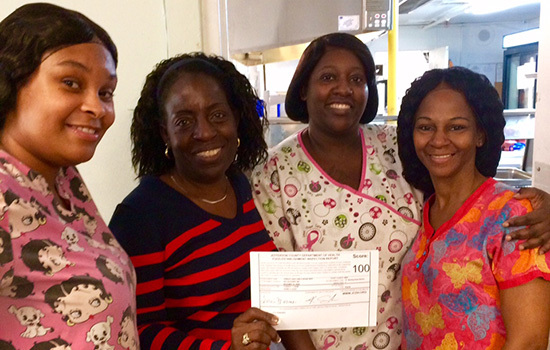 Our residents and their families are our #1 priority. One way we show that is by creating a place that our residents love living in. Terrace Oak’s small home-like atmosphere features a beautiful building, with spacious lodging, active social communities, and expert and welcoming staff. At Terrace Oaks Care and Rehabilitation, we are a small town community that all look after one another. We involve our residents in community events as much as we encourage the community to be involved in the lives of those living here. At Terrace Oaks Care, we want to make certain that you are well informed and satisfied with your environment, care, and services. Please call 205-428-3249 for any of your immediate questions or concerns.